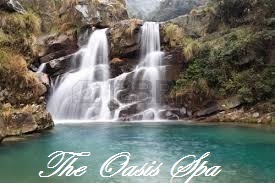 At The Oasis Spa our goal is to offer our guests a special place where you are honored, pampered, and relaxed, so that you may enjoy services designed to work for you and your individual needs. We strive to provide a peaceful environment to make you the focus of our soothing attention. Relax in our lounge area to unwind before or after your appointment. Stop by today and don't feel guilty when it comes to pampering yourself. Happy New Year. Get the jump on spring with a great new tan. We just replaced all of our tanning bed bulbs. Call for an appointment or stop in for a visit.